Northeastern University faculty lead a five-week series of seminars focusing on our oceans and sustainability issues. Offered through ACEMV, and held at the MV Regional High School library. Registration is $139, call 508 693-9222 or see website for more info. Mermaid's dairy products are known to most who travel Middle Road, but how many have seen where it's all made? As we continue our walk through the decades of conservation on Martha’s Vineyard, this Sunday (March 8th) we draw ever closer to the present day with a visit to Mermaid Farm. 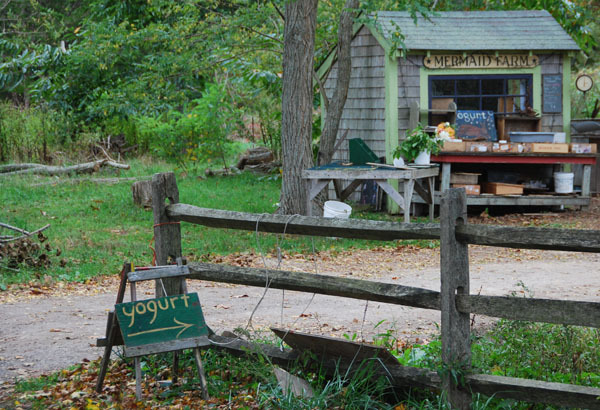 The iconic working farm, whose farm stand is well-known to travelers of Middle Road and indispensible to fans of local dairy products, is part of a 60+ acre property straddling the Chilmark/West Tisbury line. Bringing permanent protection to this vital resource was a true success story, but a complicated one, involving time, cooperation, and incredible persistence. During the walk, we’ll discuss this complex conservation story, but also the history of the farm itself. For example, did you know that the residence that today fronts Middle Road was once located across the road (at present-day Brookside Farm), along the Tiasquam River? There it was used as a “fulling mill” – a traditional use of water power to clean wool and process it into cloth. Fulling mills were common in the early English settlement period, making it possible to keep the production of cloth and textile goods close to the farms. 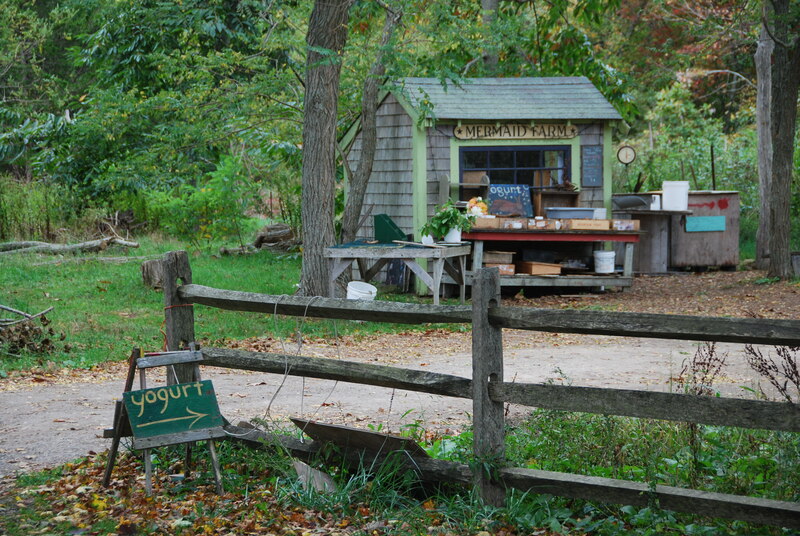 At Mermaid Farm that spirit of self-reliance and sustainability lives on today. Please join us this Sunday for our final VCS walk and a unique tour of the farm itself – we have our fingers crossed for spring lambs! Due to the lingering snow, please RSVP via email so we can better plan for parking. All VCS Winter Walks are free, start at 1:00 and are about 2 hours long, followed by cider and cookies. Walks are regularly scheduled for the second Sunday of the month. Have you been spending any of these housebound winter days cleaning out closets and drawers? Or maybe looking to add something fun to your wardrobe? Consider your local consignment shop as an adventuresome place to recycle clothes and household goods; even purchasing an interesting "gently-used" item can help the recycling process along! The Vineyard is blessed with two fine consignment stores: the Chicken Alley Thrift Shop in Vineyard Haven, which benefits MV Community Services, and the Second Hand Store in Edgartown, which benefits the Boys' and Girls' Club. Friendly faces will greet you, and whether you’re donating, consigning, or purchasing something you'll feel really good about keeping those valuable resources local! 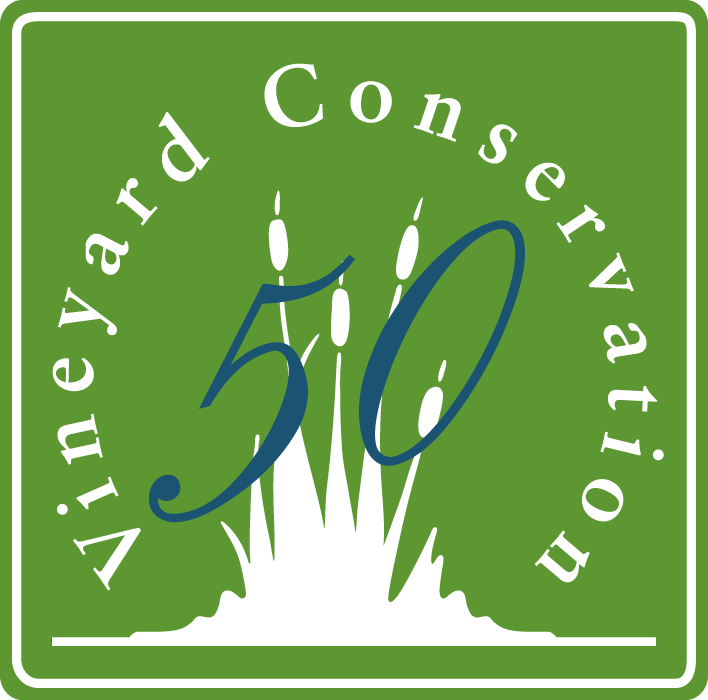 As we celebrate our fiftieth year of protecting our Island environment, VCS plans to share fifty tips to help all of us work more effectively toward that goal. Special thanks to Linda Jones for her work on this feature.